LISA Pathfinder will ride into space on board a Vega rocket, expected to lift off at 04:15 GMT on 2 December from Europe’s Spaceport in Kourou. LISA Pathfinder will separate from the final stage at around 06:00 GMT, moments before transmitting its first signals to the ground. 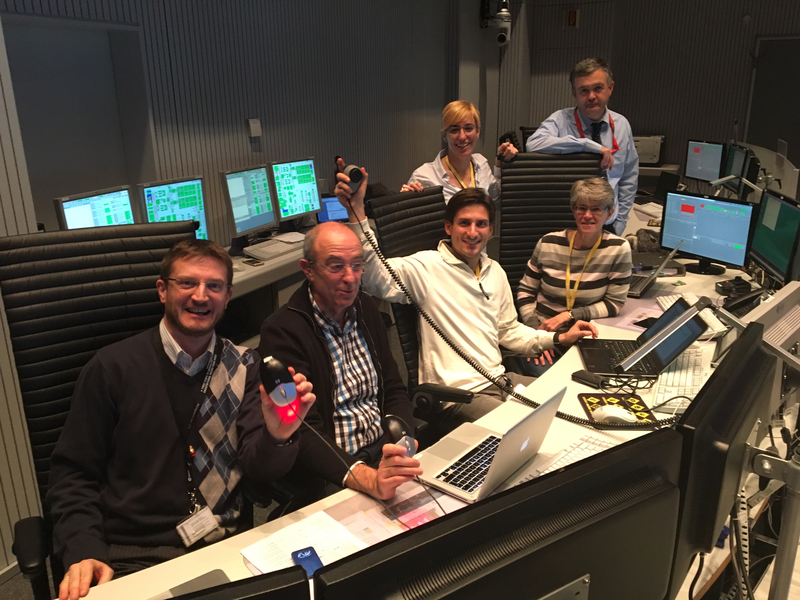 This is the team responsible for ‘Acquisition of Signal’ (AOS) – the first report from space from LPF. And it will be a challenge! On launch day, grabbing the first signal from LISA Pathfinder will be particularly complicated because the spacecraft uses higher-frequency ‘X-band’ radio signals for its communications. This produces a much narrower beam than the traditional lower-frequency S-band radio waves normally used for missions to low Earth orbit. This means our ground stations must point especially accurately and use a special adapter to catch signals just after separation, when the craft is still near Earth. An even more challenging part of the complex LEOP period will occur between four and ten days after launch, when the ground station teams, together with flight dynamics experts, will exercise carefully prepared strategies to re-acquire the spacecraft’s downlink signal after each of the apogee-raising manoeuvres. These may generate very large dispersions, meaning that the stations may not know precisely where to point to re-establish communications. Later, once the LPF orbit orbit rises above about 45 000 km, mission controllers will use ESA’s powerful deep-space radio dishes in Australia, Spain and Argentina, which are designed just for such distant signalling.